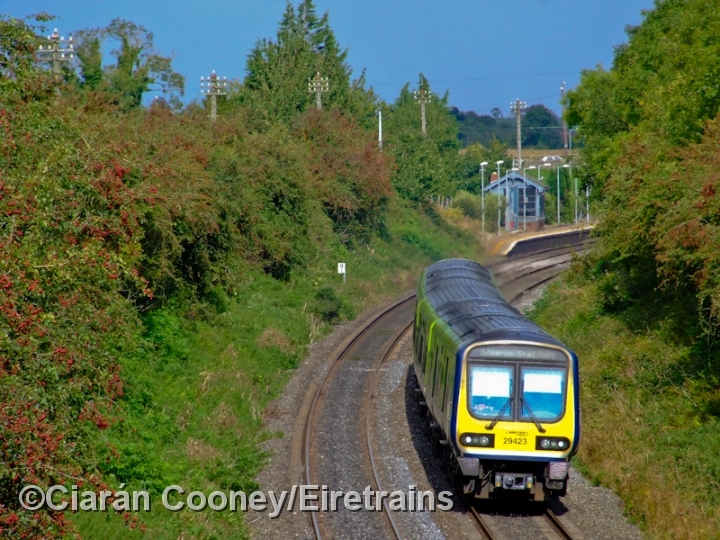 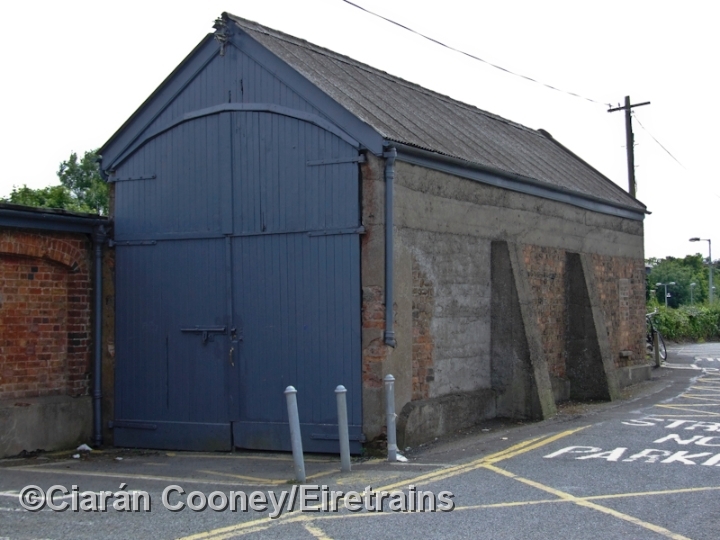 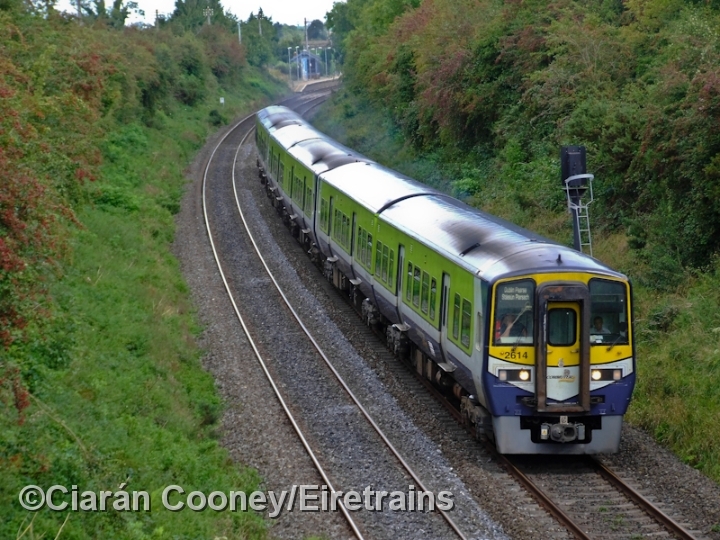 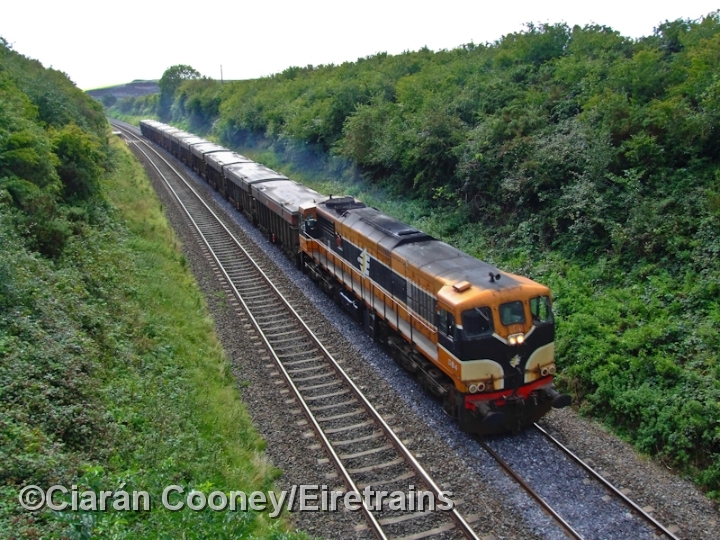 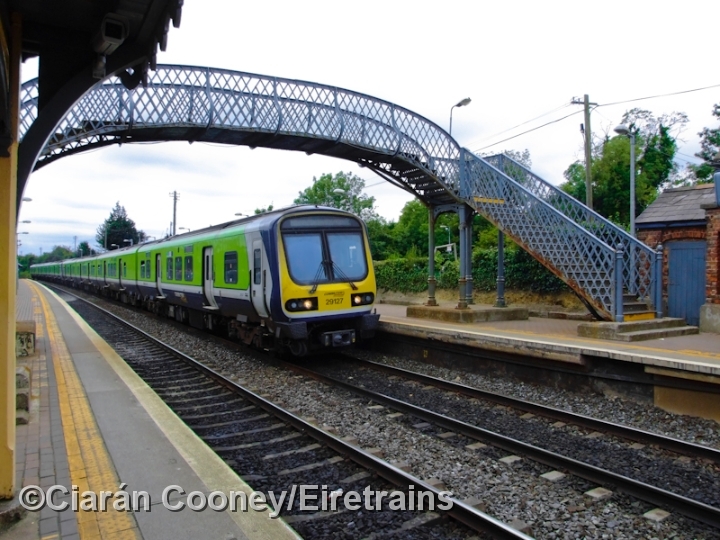 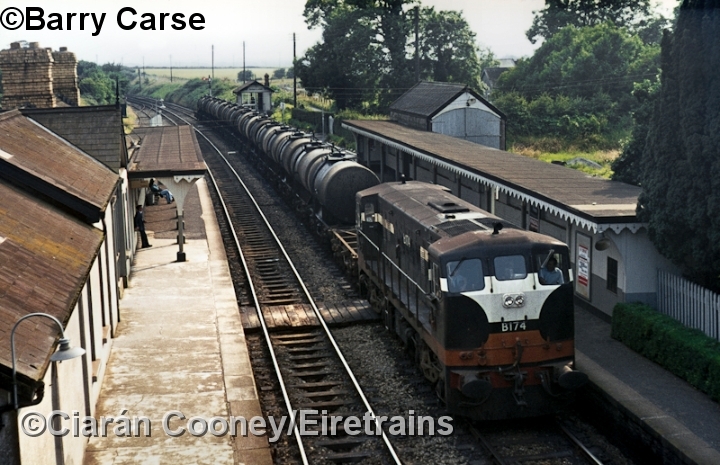 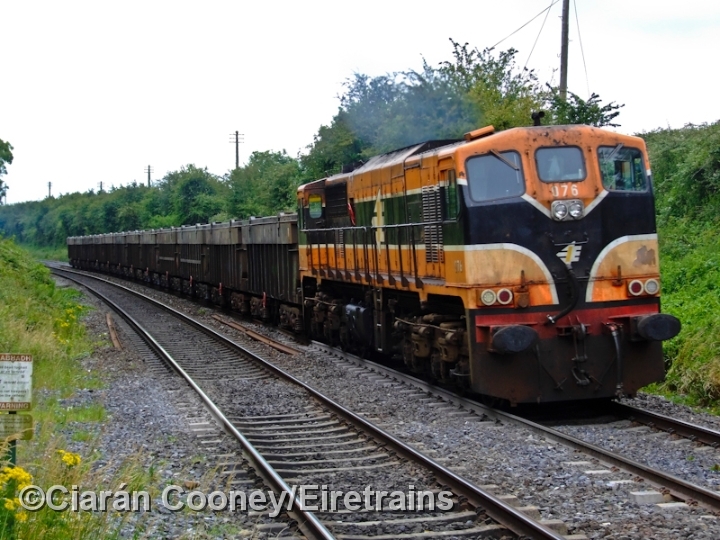 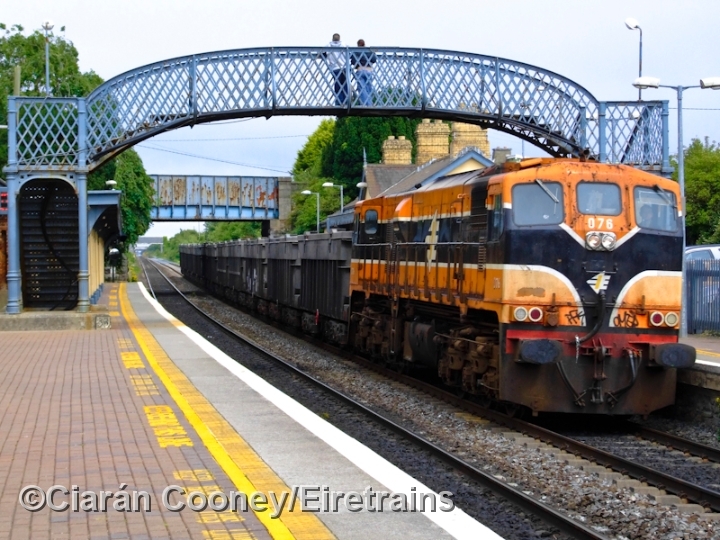 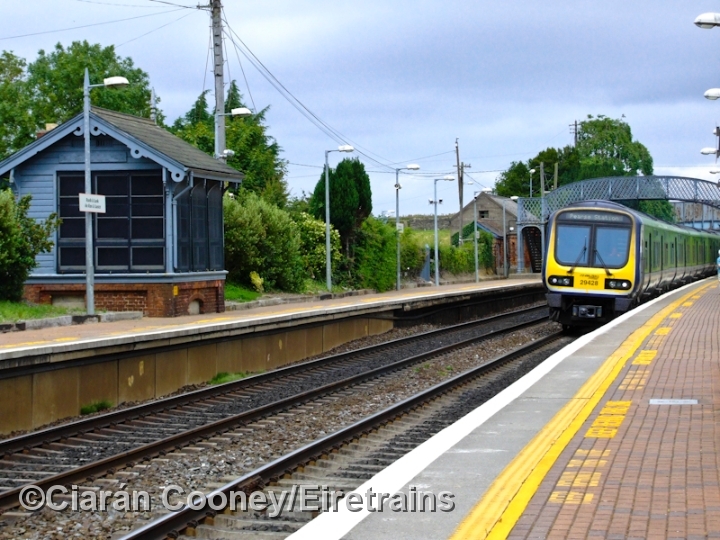 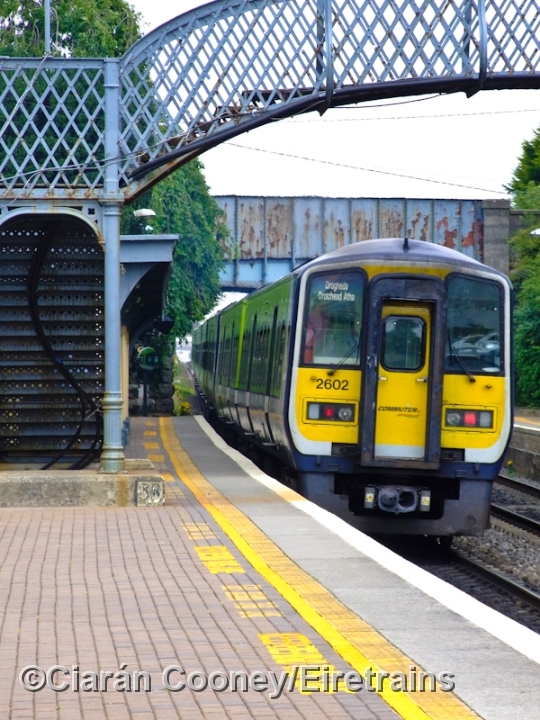 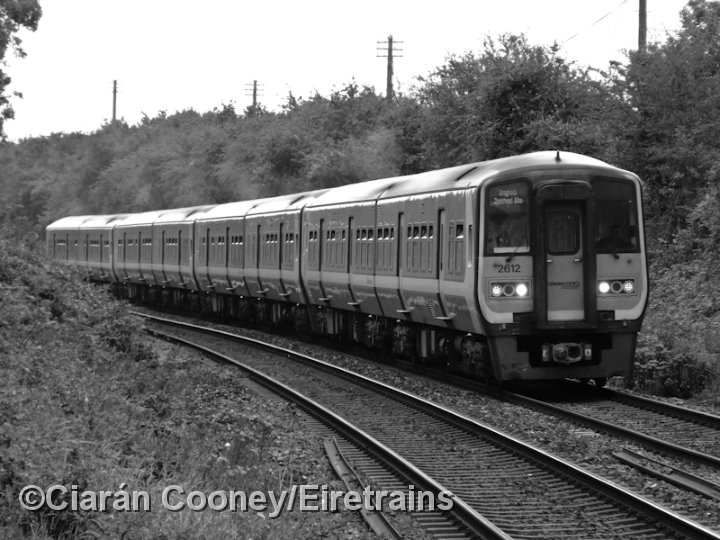 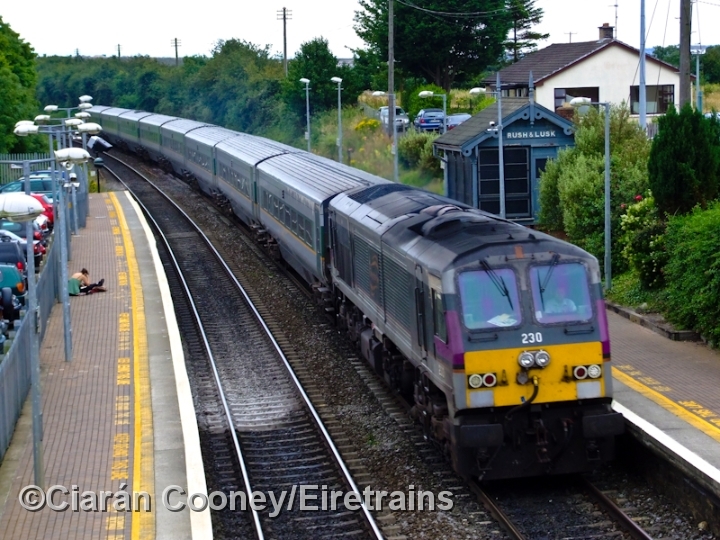 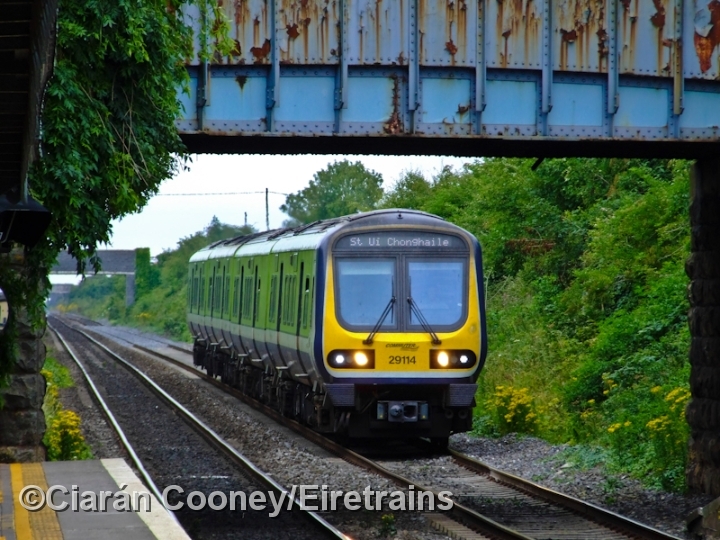 Rush & Lusk Station, located in north Co.Dublin, on the Dublin to Belfast line, opened with the line to Drogheda in May 1844. 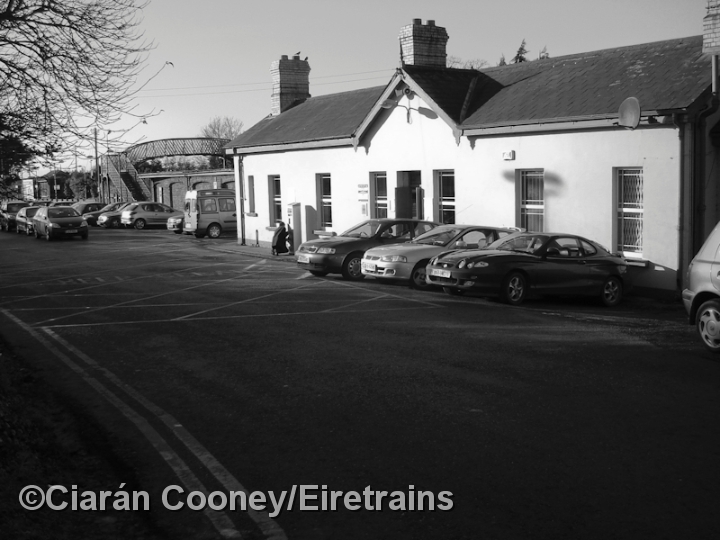 The station at Rush & Lusk is unusually designed, with platform retaining walls with canopies. 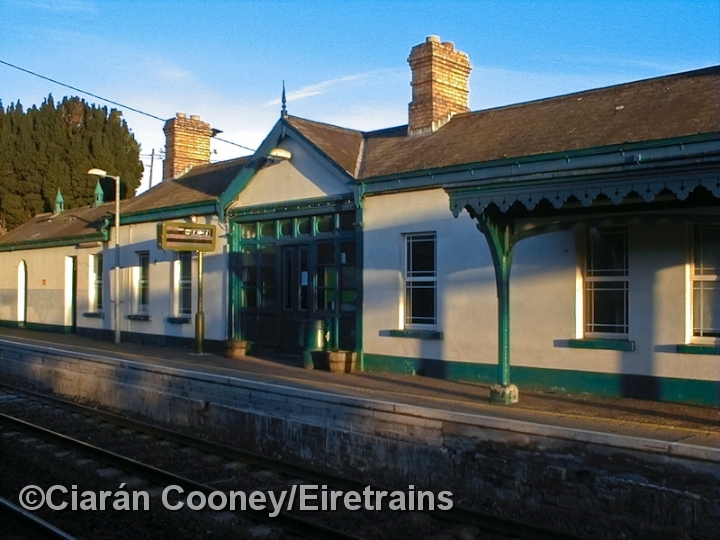 The main Great Northern Railway station building is located on the down platform, and retains its original booking office doors, dating from the 1870s. 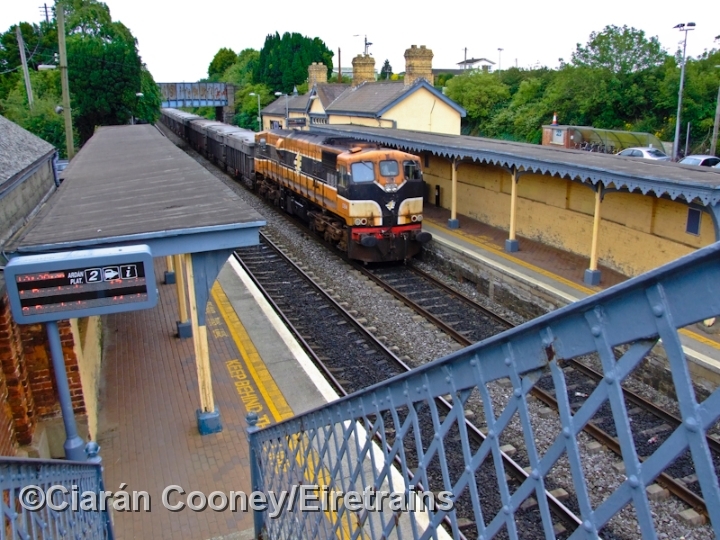 The footbridge at the station is in fact a Great Southern & Western type, and was installed in 1981. 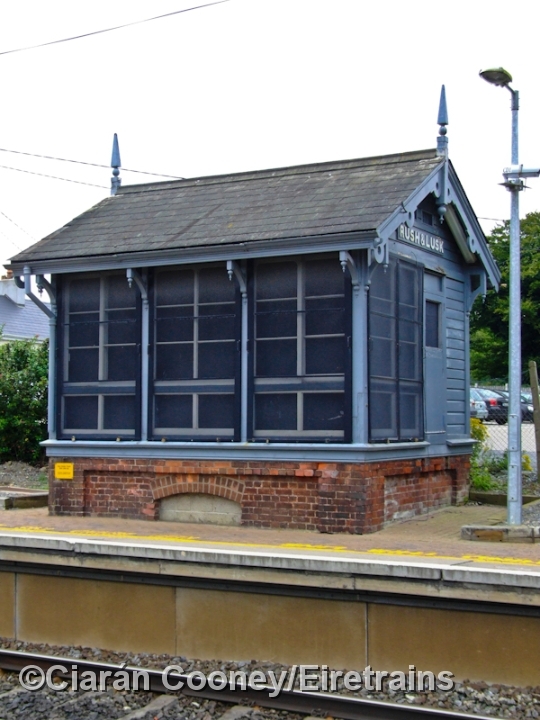 The typical GNR style station masters house, and boarded up signal cabin remains. 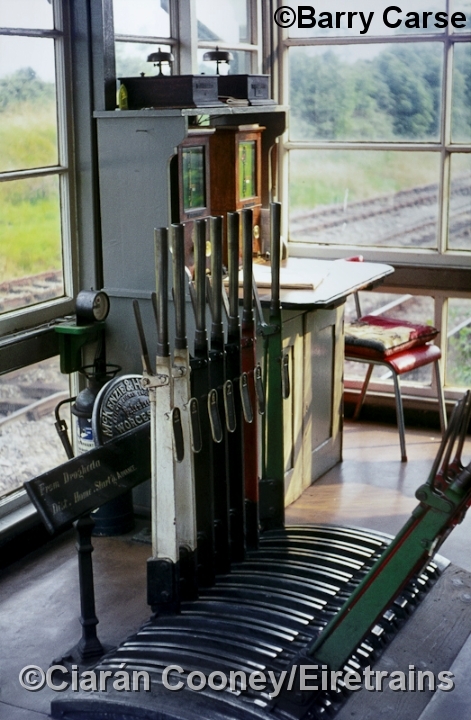 The signal cabin, located at the south end of the up platform, was made redundant with the replacement of the mechanical signalling on the Belfast line in 1994/5.